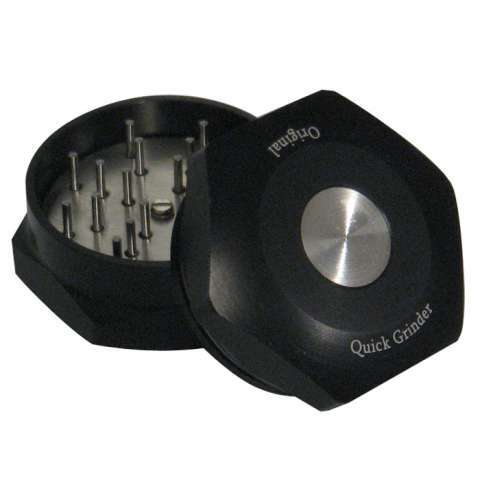 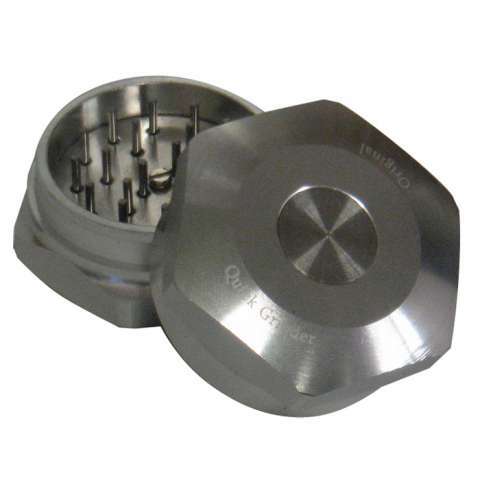 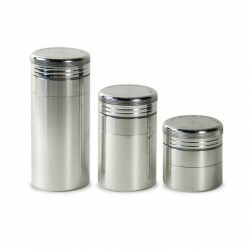 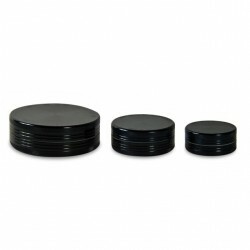 The Quick Herb Grinder has metal plates to help discharge you chosen herb once the grinding action is finished. 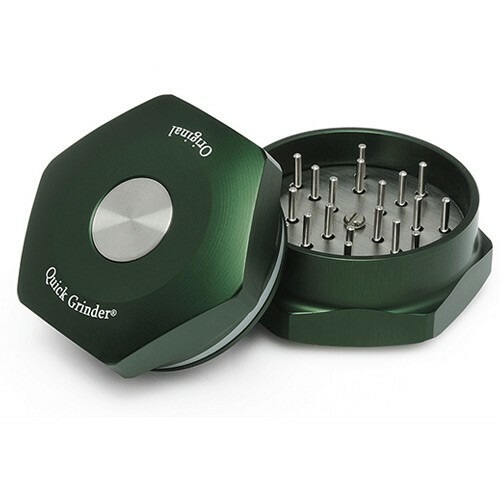 The Quick Herb Grinder has metal plates to help discharge you chosen herb once the grinding action is finished. 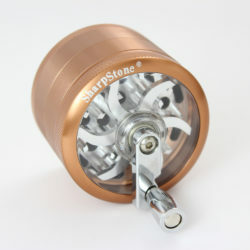 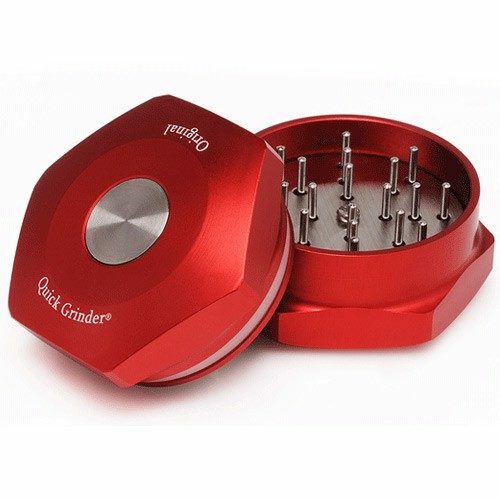 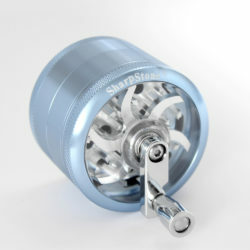 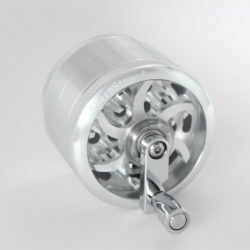 The action on this herb grinder is very smooth, rotating easily without the metal parts grinding against each other. 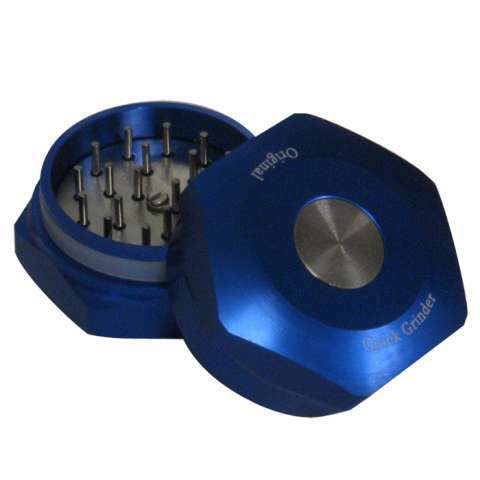 There is a PTFE ring that sits in between the two halves making the action almost friction-less, this allows you to easily break even the most dried or solid herbal matter. 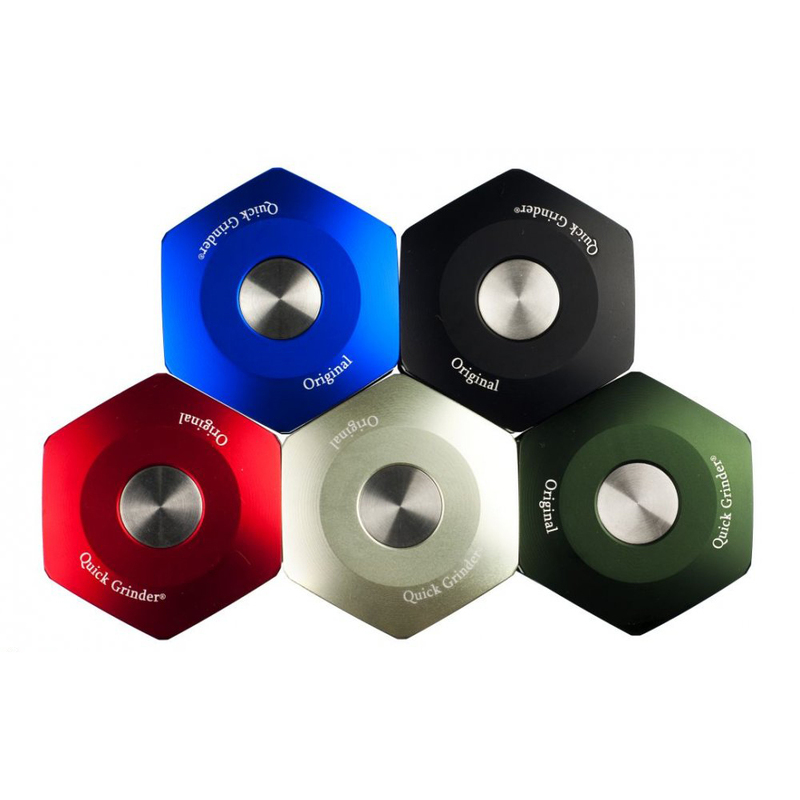 The plates are cleanable and removable which allows you to get any matter that gets caught in the patented, quick release plates.